Increase the capabilities of your bead roller with more forming dies. This kit includes an additional 10 dies to use with any bead roller with a 22mm shaft. 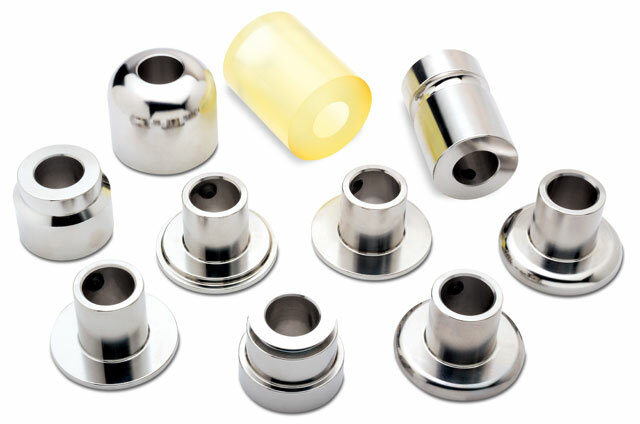 With these additional dies on your bead roller you can create offset flanges, contours, deep channels, and style lines. This kit also includes a polyurethane lower “skate board” wheel, which can be used with a variety of upper dies. 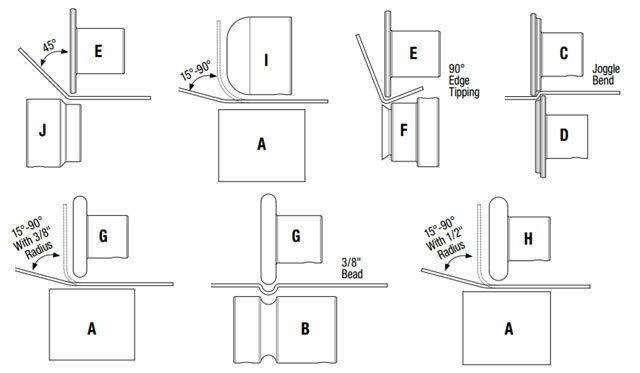 The dies includes in this kit are inside and outside offset dies, 3/8 and 1/2 inch tipping dies, round and knife edge tipping dies, 180 degree lower die, lower edge forming die and a lower forming die. All are made of CR12 steel with a Rockwell hardness of 35 HRC. The Eastwood Bead Roller Forming Dies enable you to take your already capable bead roller to the next level. This kit enables you to form, bend, stretch and strengthen metal. Fabricate custom panels and complex parts. Create style lines, offsets, deep channels, contours and other intricate forms in steel and aluminum. 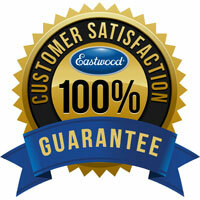 Fits the Eastwood Bead Roller (32044, 21487, 21327 ) and most bead rollers with a 22mm shaft. These are not compatible with the Eastwood 20622 Motorized Bead Roller. 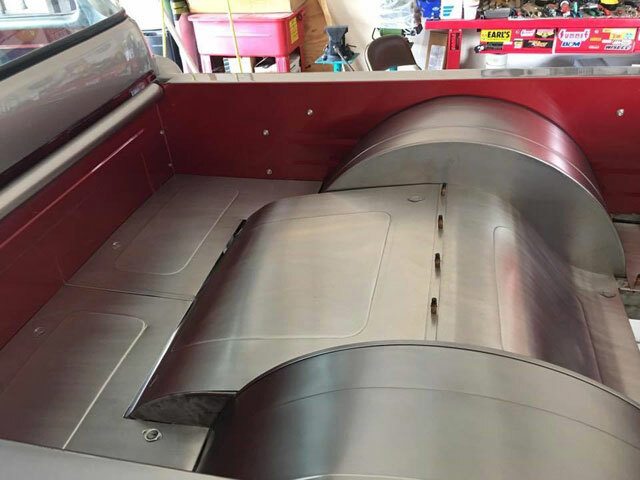 Custom pick-up truck bed created by Eastwood customer "Joey M" using the 20267 Eastwood Bead Roller Forming Dies. 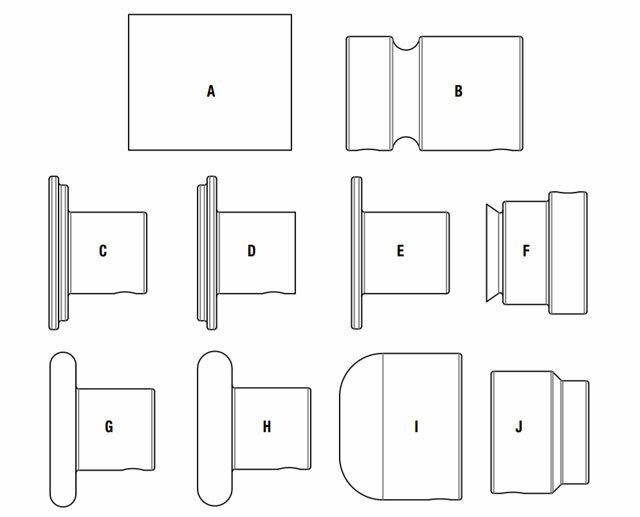 The following images illustrate only some of the many contour configurations that can be created in metal by combining the dies in this kit. The resilient composition of the "A" Polyurethane Die offers mar-free backup for any Eastwood Die and allows for the creation of virtually any metal shape imaginable. TIP: Experiment with material that is close in thickness to the gauge of metal you wish to use. This will enable you to determine the metal contour that will result from your experimental combination.